RapidMade is pleased to share that HP is expanding material options for its Jet Fusion 3D printer. Recognizing that material selection, performance, quality and cost have been barriers to additive manufacturing adoption, HP has focused aggressively on product development and accessibility. 3D High Reusability PA 12 Glass Beads - designed to produce "stiff, low-cost, quality parts"
A key to its speed-to-market success has been HP's decision to encourage an Open Platform where key suppliers collaborate to accelerate material innovation. RapidMade looks forward to including these revolutionary nylon powders in its operations. In honor of National Manufacturing Day 2017, RapidMade demonstrates commitment to continuously invest in technology, training and increase our knowledge of advanced manufacturing techniques. October 5, 2017: RapidMade announced today it is offering services based on HP’s award- winning Multi Jet Fusion technology. Based in Portland, Oregon, RapidMade offers customers expertise on materials, engineering and manufacturing processes including advanced technologies like 3D printing. 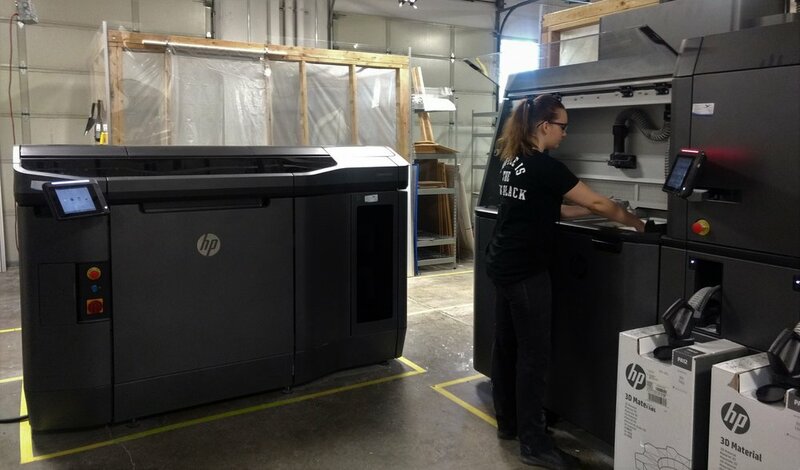 On the heels of its move into a larger facility to increase capacity for larger clients, the company is delivering on its promise to expand its capabilities and invest in new technology such as HP’s Jet Fusion 3D 4200 printing solution. The HP Jet Fusion 3D 4200 solution lowers the barriers of entry to additive manufacturing by providing faster build speeds, high-quality functional parts, and breakthrough economics. The HP Jet Fusion 3D 4200 machine operates through a unique Multi-Agent printing process, offering dimensional accuracy, fine aesthetics, and superior mechanical properties. Parts can currently be printed in High Reusability PA 12. Additional materials will be available as the largest chemical companies in the world develop certified materials for HP’s Open Materials Platform, providing customers with an ever-growing portfolio of materials for different applications. Based in Portland, Oregon, RapidMade’s knowledge of materials, engineering and manufacturing processes extends to both traditional and advanced technologies. We like to design and build things, and we like to work with clients who feel the same way. We believe that our customers’ competitive advantage stems from their ability to create, produce and market better products. That’s why we focus on applying the latest materials, manufacturing and engineering technologies to the process of developing, prototyping, manufacturing, and marketing products. And we use this knowledge to help our clients apply the right solutions to their business needs. If you are looking to create a new product, improve an existing one, find a new manufacturing solution or want a partner who can help you take advantage of the latest digital and additive technologies then we can provide you with a range of services from a simple part or prototype to a complete analysis of your product or processing needs. It is this focus and passion, together with our ability to provide these services in a unique and cost effective way, that makes us different. To request a quote, submit a Quick Quote, or email RapidMade at info@rapidmade.com. Join RapidMade next Friday, September 15 at our Open House from 3 - 7 PM in our Tigard location: 15883 SW 72nd Avenue. Come see our new HP Jet Fusion and HAAS CNC machines in action along side our Thermoformer, Objet, Fortus and ColorJet 3D printers. Our engineers and operations staff look forward to seeing you there. Email mpilcher@rapidmade.com to rsvp and learn more. Tours, refreshments and giveaways will be offered to all attendees. Come help us celebrate. Our new HAAS CNC machine is "sitting pretty" in our new location. There's a New HAAS in Town! The Tigard location is filling up quickly. Both our HP Jet Fusion and HAAS CNC machines were delivered this week. And they're being installed as this post is being written. RapidMade is on track to move in and start up operations on August 1 as planned. Help us fill up our new and existing equipment. HP Jet Fusion Arrives Monday, July 10! Look for updates and pictures. Getting parts on demand has been a manufacturer’s dream for many years. Since 2005, see M. Park, UNSW article, there have been cries from the 3D printing industry that additive technology would replace the need for injection mold tooling, that it would eliminate the need for machining, that casting would become obsolete. Finally, that dream is becoming a reality. While there have been success stories such as the use of Stratasys Ultem for aerospace parts and selective laser sintering (SLS) nylon for automotive parts, until today, these components have all had restrictions on where and how they could be used. One of the biggest drivers for this has been the speed and the part cost. Siemens, according to a recent article in Plastics Today, is using 3D printed fire, smoke and toxicity-compliant polymers to replace parts in trams, and they cite part availability as being the primary driver. The US Marines have recently experimented with printing replacement Humvee parts in the field. What all these examples have in common is they are limited in scope by the 3D printing technology restrictions. While the FDM process eliminates tooling, it is still 100x slower than injection molding or machining, and while SLS material prices have been reduced, they are still 10x more expensive than injection molding or nylon bar stock prices. So, the extent to which these older 3D processes can be deployed is still limited by cost and speed. This is beginning to change. A new breed of additive manufacturers is arriving on the market who are focused on truly using 3D printing to create production parts at costs comparable to injection molding and machining prices. These “new age” additive manufacturing companies combine faster printing technology with engineering resources to convert and certify part performance. They have integrated quality systems to ensure material, process and part conformity. And they offer parts at competitive prices compared to injection molding or machining costs without the need for tooling, set-up costs or inventory carrying costs. An example of one company taking advantage of this new age in additive manufacturing is Daimler, cited in a recent Reuters report, who has announced it will start offering plastic replacement parts printed at local service centers from a library of 3D files. As an executive board member in the additive manufacturing community, I recently got to profile one such Portland-based 3D printing company, RapidMade. After 6 years developing prototyping, tooling and engineering services to support 3D printing, this company is reinventing itself to use the new breed of additive technology being offered by companies such as Hewlett Packard and Carbon 3D. These companies have developed much faster 3D printing technologies that use faster curing, less expensive materials with all the properties of traditional polymers. The new HP MJF is being showcased by RapidMade as part of its expansion in 2017. With speeds that are 10x faster than current SLS technology and material prices equivalent to injection molded nylon or machined bar stock, RapidMade can now offer its customers a wide range of new and replacement part solutions. Where precision tolerances are required, the company uses automated machining centers linked with the printers to provide finishing operations. Without the need for tooling, customers can now order parts to print using their 3D library or one provided by the service provider. The shorter printing cycle times mean that it is no longer necessary to hold more than 1-2 days’ inventory for quick use parts, and less frequently used parts can be ordered as needed with zero inventory requirements. For very low order quantities (less than 10 parts), it has always generally been cheaper to 3D print versus using traditional manufacturing. With the lower cost breakeven point of these new age 3D printing technologies, minimum order quantities (MOQ) of 500 or 1,000 will be converted to printing versus injection molding or machining. For customers already using SLS technology, they will see an immediate cost and turnaround benefit from switching to this new breed of 3D printing technologies. The benefit of these “new age” additive manufacturing companies like RapidMade is being immediately felt by the machinery manufacturers and end users of such equipment. There is a significant cost benefit in current supply chains, PWC Strategy& estimates there will be a 20% gain in TCO (total cost of ownership) from 3D printing replacement parts. It is estimated 70-80% of that can be delivered to the end users when they engage with a “new age” additive manufacturing company. Lower prices for spare and replacement parts are possible with piece of mind that the part has been certified for use. No longer are machinery manufacturers tied to traditional injection molders who retain tooling that cannot be easily moved. Parts produced offshore can now be re-shored without needing to recreate tooling. PWC Strategy& predicts German spare parts manufacturers will derive $3Bn in benefit from adopting 3D printing. Additive manufacturing by its nature is a non-labor intensive process, and the new breed of technologies produces 10x the number of parts in the same time lowering the overhead cost per part and making larger MOQ more attractive. Companies like RapidMade retain digital libraries and ship direct, on demand parts in quantities of 1 to 1,000 in less than 24 hours. They do this by not only having faster 3D printing technologies but also using automated transaction systems, integrated engineering and lean techniques to optimize printing uptime. Whether it is Daimler, deciding to print plastic parts locally to save warehouse, shipping and logistics costs or Siemens citing the increased ability to service multiple customers with parts on demand, times are changing for the benefit of producers and end users. And to support the changing demands, these companies are turning to the ‘new age’ additive manufacturers who, in turn, are enabling US companies to re-shore production, improve turnaround time and lower part costs. 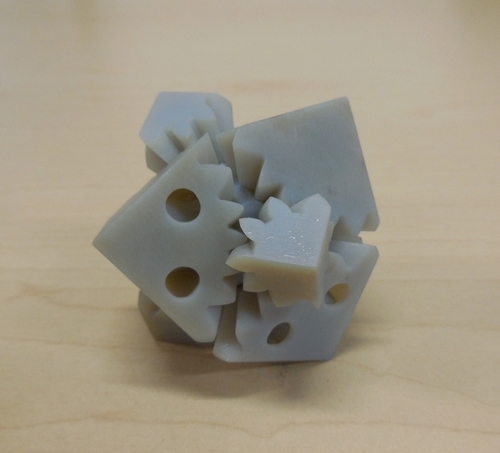 If you have dismissed 3D printing in the past, it might be time to take another look. HP's Jet Fusion 3D Printer is gaining marketplace momentum. Last week, senior management announced its Global Reseller Program and Open Materials Ecosystem Expansion at the Rapid + TCT conference. Executives expect these networks to accelerate customer interest and technology adoption. The long-awaited arrival of true Additive Manufacturing may finally be here.